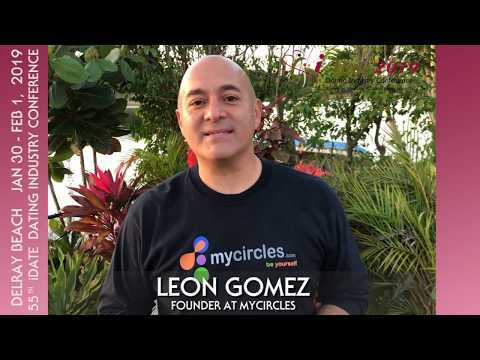 Leon Gomez, Founder of MyCircles, will speak to executives in the dating industry on direct social targeting, niche dating and the crossover opportunities for engagement. New York, NY--Ticonderoga Ventures, Inc. announces that MyCircles will present at the 55th international iDate Conference ( http://idateconference.com ) on January 31 to February 1, 2019 at the Hyatt Place in Delray Beach, Florida. Leon Gomez, Founder of MyCircles, will speak on direct social targeting, niche dating and the crossover opportunities that exist for more effective engagement without encroaching on user privacy. MyCircles is considered the natural evolution of social networking and online dating. Focusing on user privacy, interest based networks and multi-profile accounts. User are able to designate different categories for each profile including public, private, professional and dating focus.